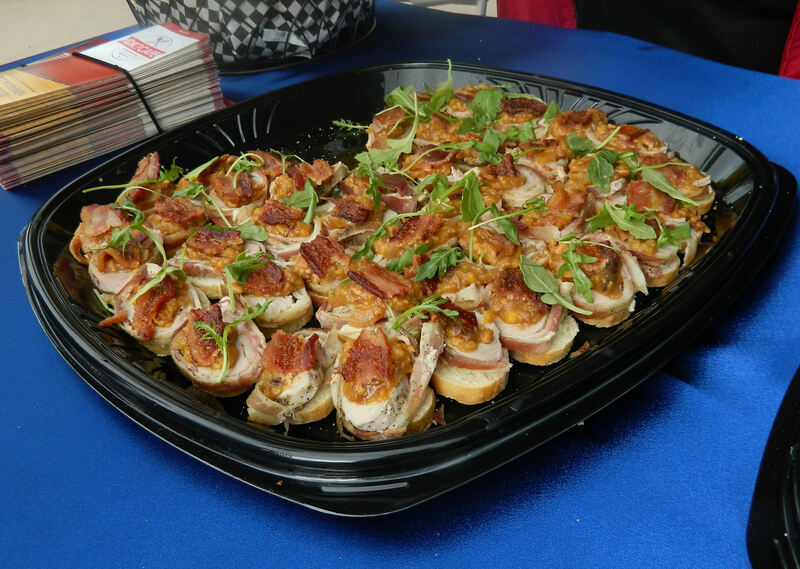 Bacon Bowl 2014: There’s No Such Thing as Too Much Bacon! Bacon, Bacon, Bacon, Bacon Bowl! 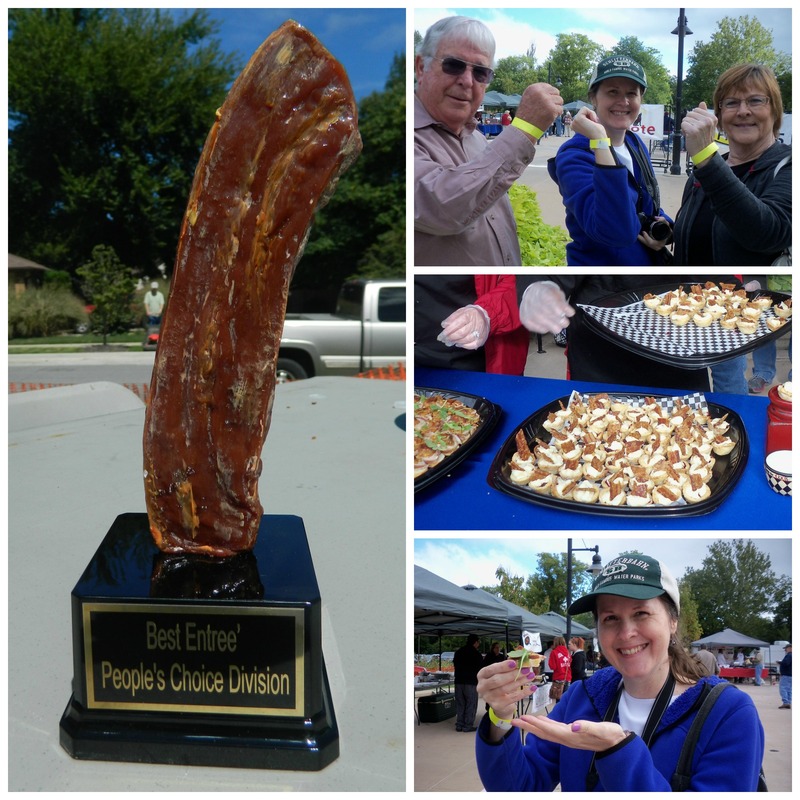 Yesterday, I was thrilled to attend the 2nd annual Bacon Bowl festival, which was sponsored by Petit Jean Meats. I wrote last year about attending the inaugural event in Fayetteville, Arkansas, which was fun and incredibly delicious. But this year’s event, which was held up the road in downtown Bentonville, was even better. My mom (running the camera), dad, aunt, and I having fun and ready to eat! 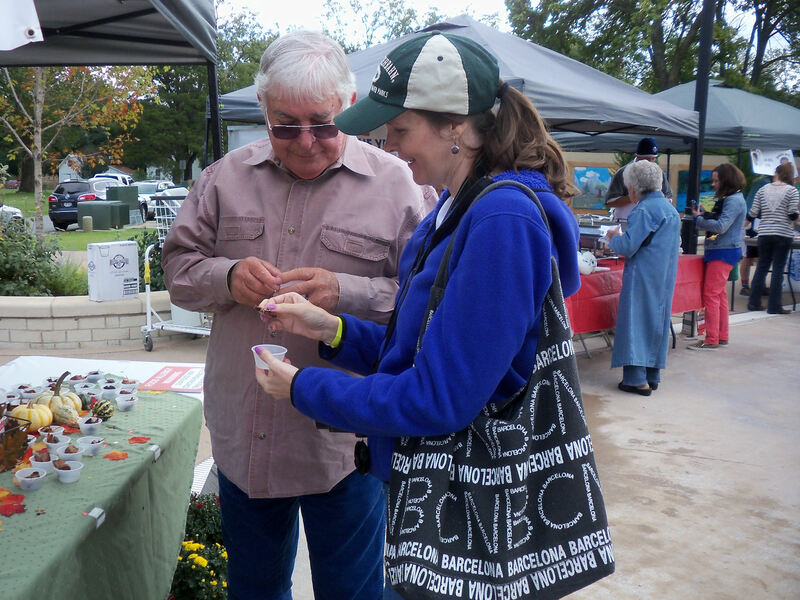 There were more vendor booths serving samples of all types of bacon dishes, a much bigger crowd, a live band, and a well-organized site – that happened to also be just a walk away from the town’s weekly Farmer’s Market and this year’s World Championship Squirrel Cook-Off. But more about that latter point later in the week. Today I’m concentrating on bacon. 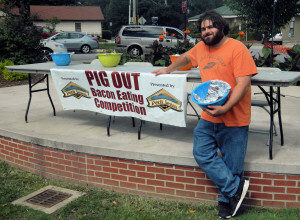 In addition to the mouth-watering food, the event also brought back Adam Poch, known as the bacon-loving “Heavy Metal Teddy Bear” during his stint in the Big Brother house. Adam and me. Gotta love his shirt! Also, there was a bacon eating contest – of course! 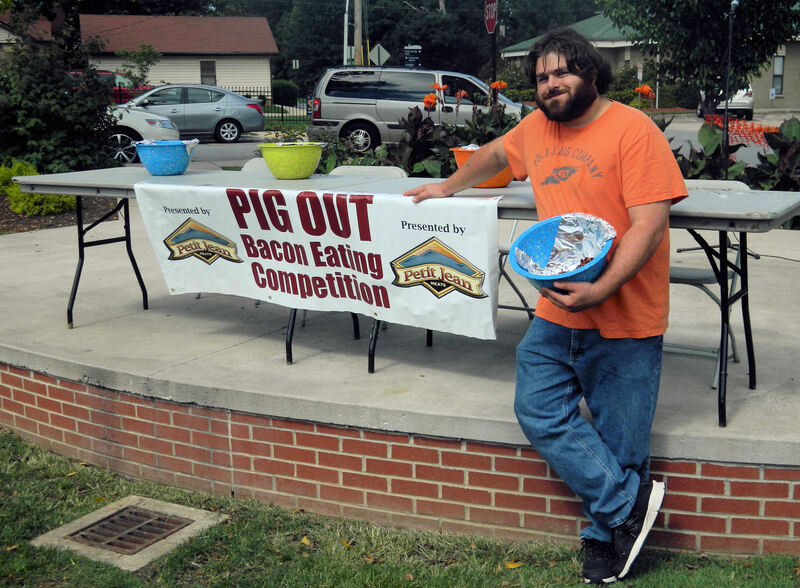 The winner ate more than a pound of bacon in 3 minutes. Wowza! He said he was still hungry! 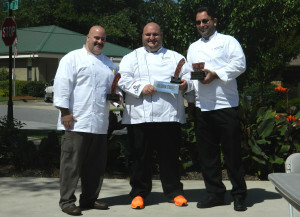 But the day’s highlight (after all the food sampling) was hearing the results of the food competitions. 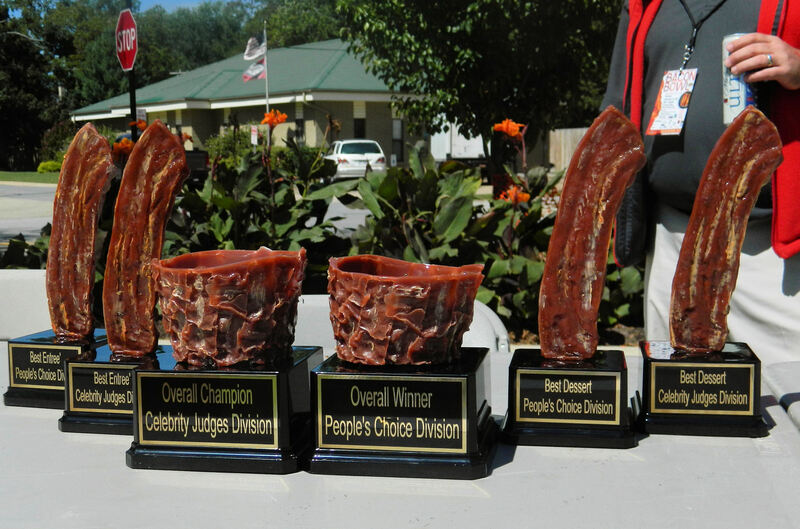 Check out these trophies, which I hear were actually made from real bacon! 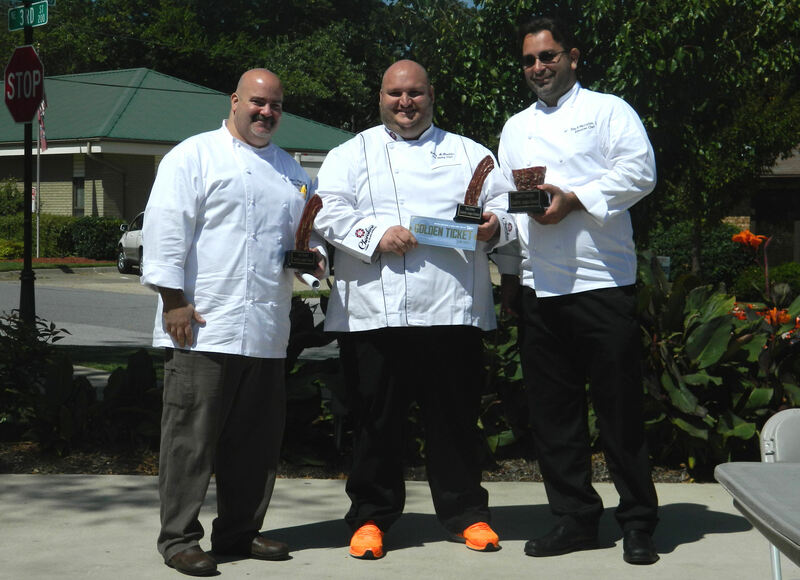 As winners of the Judges’ Overall category, Cherokee Casino also won a “golden ticket.” This means they’ll be flown out to Las Vegas this November to represent Northwest Arkansas in the Bacon Division of the World Food Championships. Overall, it was a gloriously tasty and great-smelling day. Tomorrow I’ll post a short video I’m putting together of the event. But be warned – watching it is bound to make you VERY hungry for bacon! What an awesome description of the Bacon Bowl event. The pictures are fantastic. Another good job Deborah. Thanks Darlene! It was just wayyyyy too much fun. I really want to try the bacon quesadilla with avocado salsa. Yum Yum! Not sure how I’m going to handle your next post about Squirrel. YIKES!! That was my favorite dish too, Meredith. (I might have had thirds or even fourths of it. Shhhh!) My next post will actually be part 2 of this, with a video clip — including of my folks not doing so well in the egg toss contest. Ha! And then Squirrel will be next… Beware!! This is such a fun day away from the ordinary. The Bacon Bowl is a great idea and it looks like it grows each year. I know I will be attending again next year. Good job reporting about it Deborah and the pictures are fantastic. Thanks! I’m really, really glad it’s growing. Can’t wait to go again next year. It’ll be a three-peat! I loved the kale and bacon salad from Hammin Team and thought the pork tenderloin was way over cooked. Go figure! *whispers* I kind of thought the same thing Debbie. I was in love with the quesadilla from Cherokee Casino (and their candy bar) and that Peach Pig. 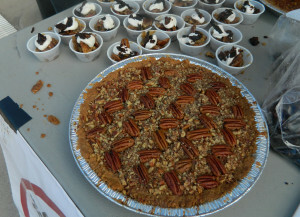 I made it out to the squirrel cookoff this year! Now that was a site…I couldn’t believe how many teams entered. I heard over 40 teams entered and there was even a team of 3 lawyer ladies from New York. Crazy. But I appreciate all the love for cooking squirrel! 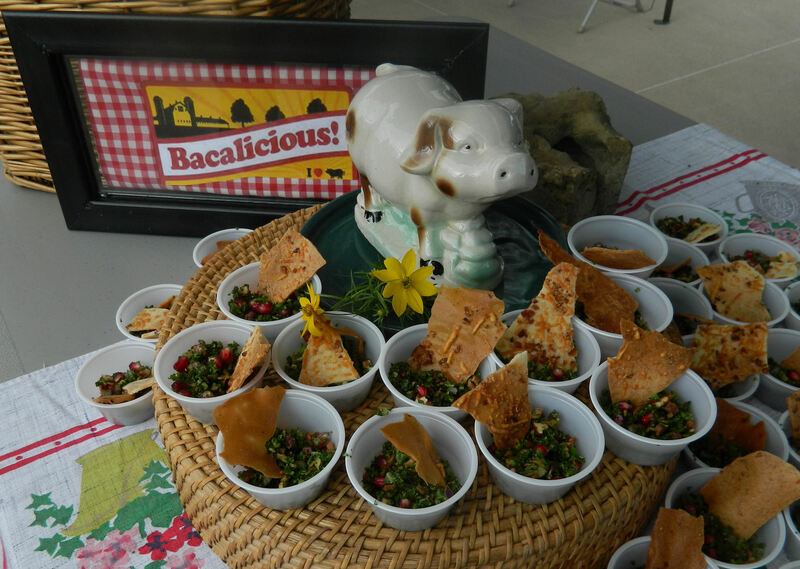 The bacon bowl does look like it was a delicious event as well. Squirrel was fun! I wasn’t planning on going over to it, but how could I not?? Hehe. I’ll be posting about it in just a few days! Thanks for the comments Cheryl. Hope to have Part 2 posted tomorrow. Wasn’t it a great event? Nathan & I loved the Kale salad & quesadilla! I’m so sorry I missed you there! Everything was soooo good. 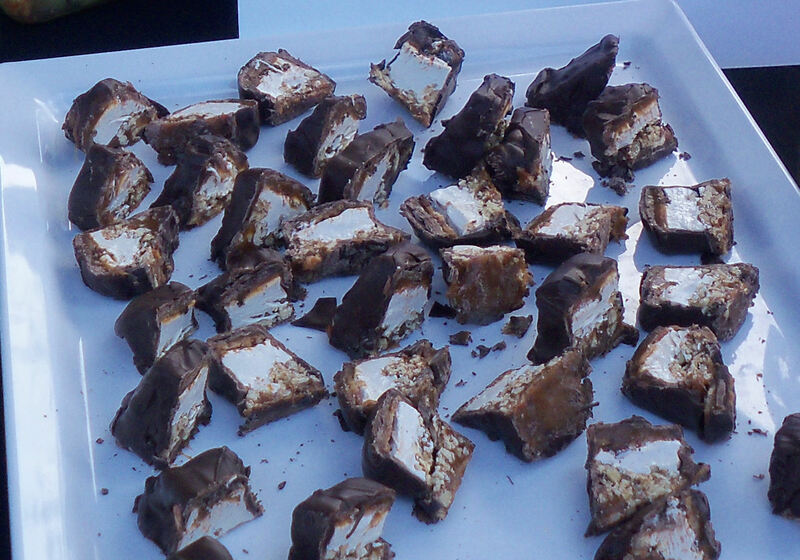 And I really think they could sell those bacon-nougat-pecan candy bars in vending machines! Bacon, beautiful bacon…sounds like you found it in combination with just about every other food imaginable. My imagination, however, is not doing these combinations justice. 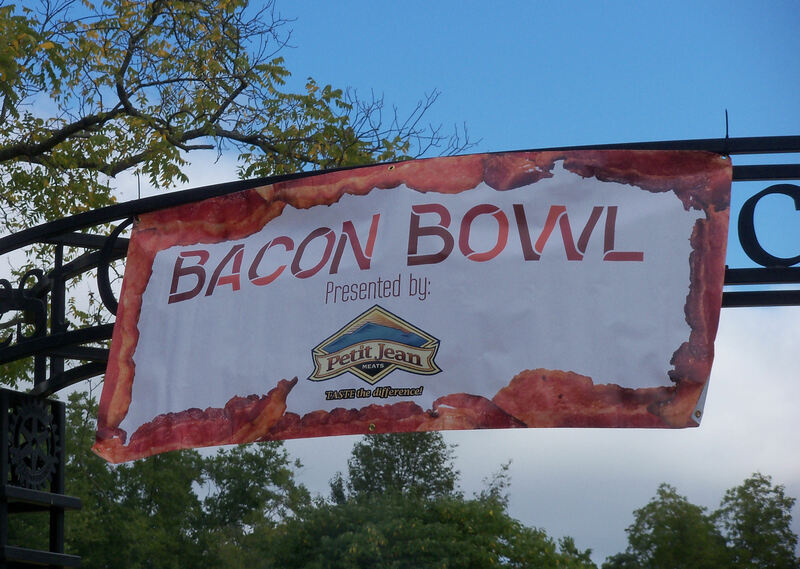 Next year, I have to give the Bacon Bowl a proper chance to wow me. This years event was great! I thought the food was even better than last year. I thought the location was great also. 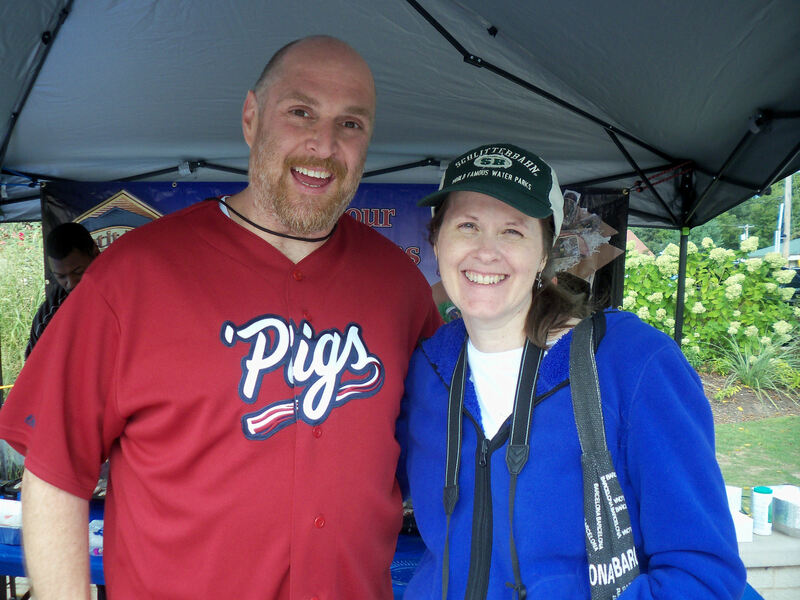 I loved every thing about the Bacon Bowl. I must say that I did get my fill of bacon. It was amazing the amount of different items with bacon in them. No! You can never get your fill of bacon Hayes! Thanks for being my partner in crime again this year. What a fun and delicious day. Hehe! I hate to rub it in Tom, but there was so much bacon that I couldn’t eat anymore — and there were lots of leftovers! 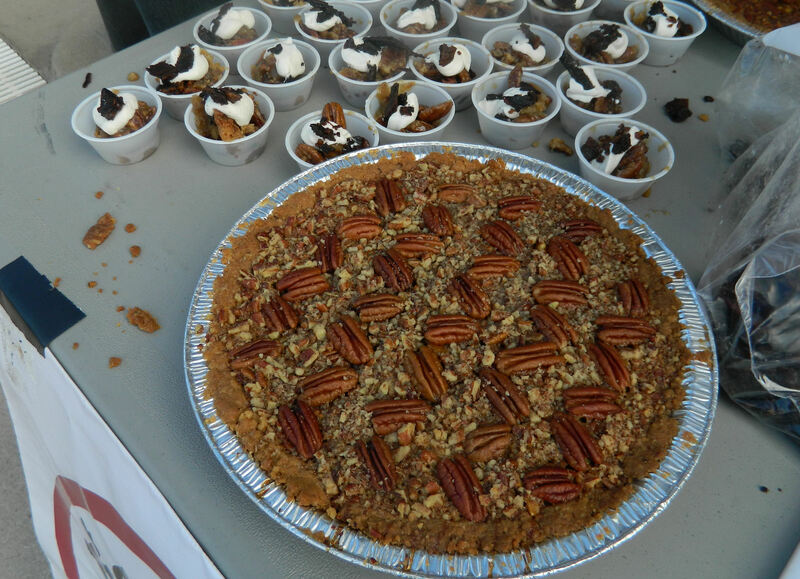 The Bacon: Salad/Pecan Pie/Candy Pecan Bar, I would definitely love to try They all sound so Baconly Good! LOL! 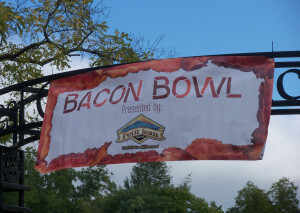 I wish there was a Bacon Bowl Event here in New England! It would be so much fun! Sounds like you had great fun time there w your family too! My grams(age 98) who passed last December, was a true bacon lover! She had to have many strips (4-5) w her breakfasts!LOL! I thought it was pretty cool to have the trophies made out of Bacon, Oh My! :)I am looking forward to reading your post on the Squirrel! That does sound interesting! Thanks for dropping by Karen! Everything was completely, totally delicious. YUM! I hope a Bacon Bowl/Festival comes to your way soon. I hear that they’re starting to pop up in lots of states.